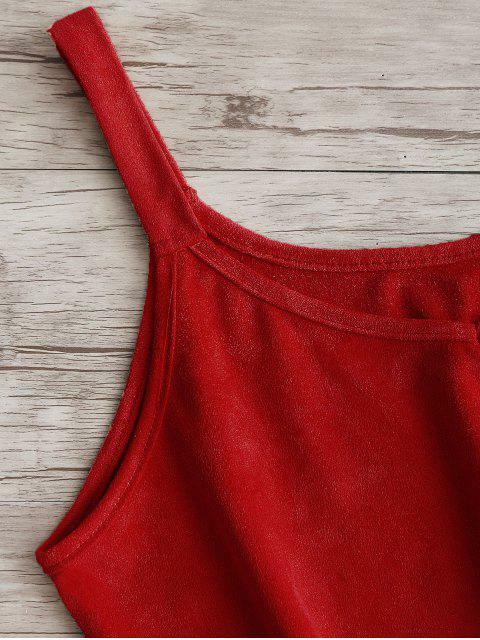 [38% OFF] 2019 Cropped Laser Cut Faux Suede Tank Top In DEEP RED | ZAFUL .. Perfect! Great quality! Looks the exact same and feels amazing 100% a good buy. This tank with a faux suede fabric throughout features a lacer cut detail with scalloped hemline in a cropped length, styling it with a high waisted denim shorts and tan sandals for a chic summer look.